When some people go to the University of Texas (UT) games, they plan on watching the game, sitting in the best seats and cheering. When theatre kids go, they go to work. 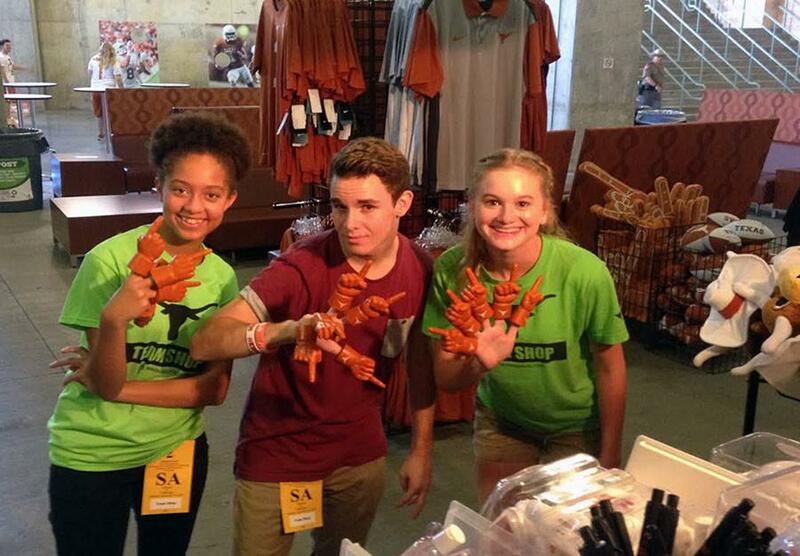 Theatre’s biggest fundraiser is working the UT games. It brings in about $20,000 that they say helps dramatically with putting on their shows. Every year the theatre program puts on three main stage shows. It begins with fall show, then musical and ends with one act. The most expensive of these is the musical, coming out to near $25,000-35,000. Fall show is roughly $10,000 and one act can be anywhere from $5000-10,000. They have to pay the royalty fees for their scripts, costume rental fees, space in the PAC and many other things. They get paid $100 per student that work outside and $80 per student that work inside. The students are usually put three to a trailer. One to watch the merchandise and two to work the cash registers. The trailers are stationed all around the stadium at the larger entrances. Then there are two auction booths inside the stadium at which two students are placed. The process requires planning, which is done by Earthman herself. The students themselves do not get paid directly, but it does lower the cost of their fees to be in the productions and for their bus rides when traveling. All of the students in the advanced theatre class are required to work a minimum of four games.